The 2019 season marks Coach Schmitt's 12th season with the Lady Lions! During her time with Pius she has lead the Lions to 8 state titles and 2 state runner ups. In her first year of coaching at St. Pius in 2008, coach Sara Schmitt, lead the Lady Lions to at a state championship game. The Lady Lions ended the season with a 20 – 2 record, racked up 130 goals, and demonstrated remarkable defense only allowing 9 goals to be scored. During her second year, 2009, here at Pius, Coach Schmitt lead the team to her first AAA State Championship as a coach. The Lady Lions went 22 - 0, scored 141 goals, allowed only 6 goals, and were ranked number one in the Nation for 2009 season by the NSCAA declaring the team National Champions. Her victories continued into her third year of coaching were she lead the team to the 2010 AAA Region Title and to a 2010 AAA State Championship Title. Her fourth year of coaching continued the success, and the Lady Lions took home their third Region and State AAA title. The 2011 Varsity team put up another defensive showcase and did not allow a single goal to be scored on them in the state playoffs, which led them to yet another State Championship. The 2012 Varsity team, not to be outdone, were repeat AAA Region Champs. In 2013, the Lady Lions only lost one game and won a Region championship followed by the AAA State Championship. Establishing some high standards helped lead to continued success with another repeat Region and State Championships for the 2014 season. The 2015 campaign ended with a AAAA State Championship against in town rival Marist. The 2016 season started off slow with some big losses early in the season, but the Lady Lions were able to finish strong with another AAAA State Title. The team defeated rival Marist in a 2 to 0 game at Mercer University. 2017 season lead to a 21 - 1 - 1 season that was capped off with another state title win over rival Marist with a score of 1 to 0. This marks the fifth straight State Championship Title for Coach Sara Schmitt. In the 2018 season the Lady Lions suffered some tough losses early in the season but were able to give the playoffs a run and ended up in the state game against Marist. Coming up short in the state game but were crowned AAAA State Runner Ups. Coach Schmitt has accumulated the Region AAA Coach of the Year for the 2009, 2010, 2011, 2012, and 2014 seasons. She was also named the State AAA Coach of the Year in 2009 and 2010. Along with the region and state recognition, in 2009 Schmitt was awarded the NSCAA State Girls Coach of the Year for private schools and the NSCAA Southeast Regional Coach of the Year for private schools, an honor that she was again awarded in 2011. This recognition made her one of eight coaches up for the national coach of the year. For the 2016 season, Schmitt was named the NSCAA State Girls Coach and the NSCAA Southeast Regional Coach of the Year for private schools. Coach Schmitt teaches Algebra II and Geometry at St. Pius. She is also the Assistant Athletic Director. She serves as a discipline mentor and a Women's strength coach. Coach Schmitt also attends the Jamaica mission trip over spring break. Previous to Pius, Coach Schmitt played four years of Division I soccer for the Samford bulldogs in Birmingham, Alabama. During those four years she accumulated numerous awards including Second Team All – OVC and All – OVC Tournament Team. She helped lead Samford to four straight back to back regular season conference championships and scored a penalty kick to send the bulldogs into the second round of the NCAA tournament. Preceding her career at Samford, Schmitt played for Parkview High School and Gwinnett Soccer Association. At Parkview, Schmitt recorded two regional championships and a state championship her senior year. She scored the game winning goal in the state championship game in the last thirty seconds as fans were walking out of the stadium. Her performances awarded her the Gwinnett County Player of the Year in 2003 and she was named one of only two girls from Georgia as a NSCAA high school All – American. Along with high school accomplishments, Schmitt's club team won the 2001 National Championship and finished third nationally in 2002 and 2003. 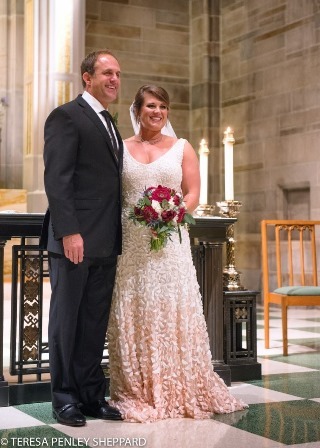 Personally, Coach Schmitt is the oldest of four siblings and is married to Gary Schmitt, the Athletic Trainer at St. Pius. They eat, sleep, and breathe St. Pius and all Golden Lions sports and reside in Buckhead. Coach Schmitt has set high standards and accomplishments for the soccer program and only looks to continue those in the future. Coach Valentino played for 4 years at The University of North Georgia as a center defender, where the team went on to make 3 appearances in the conference championship. She graduated with a Bachelor of Science in Exercise Physiology from The University of North Georgia, and then went onto attend The University of Georgia where she received her teacher certification in special education. She is also in her 3rd semester of completing her Master's in Curriculum and Instruction online at Valdosta State University. 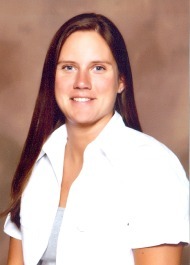 Coach Valentino's coaching experience includes eight years coaching at the varsity level in Gwinnett County, where she coached 3 teams to the state playoffs, and earned Region runner up in 2010. She also coached four years at Dacula Soccer Club as a U-13 to U-15 girls coach. She served as an assistant coach at Georgia Gwinnett College for two years, and holds her GHSA coaching certification and USSF D license. Coach Valentino is in her 5th season with the Golden Lions where she previously lead the JV team to an overall record of 14-1-3. 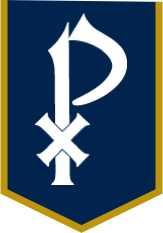 Being a part of the St. Pius program is a honor, and I am looking forward to assisting the varsity program this year.